Nuclear Throne is Vlambeers latest action roguelike-like about mutants that spend their workdays trying to fight for the throne in a post-apocalyptic world. The radioactive waste in the world allows mutants to get ahead by mutating new limbs on the fly and the abundant availability of powerful weaponry makes the quest to become the ruler of the Wasteland one fraught with peril. All of this is really just an excuse for us to make a fun action game. Update #99 - Update 99 - November 6th, 2017. Available now! 12 playable characters with unique advantages, active and passive abilities. 7 playable main worlds and numerous secrets to be found spanning deserts, frozen cities and underground labs. Almost 30 ways to mutate your character, creating millions of interesting playable strategies and combinations. Over 120 weapons ranging from the familiar machine-gun and shotgun to the screwdriver and ion cannon. More than 15 tracks by LUFTRAUSERS musician Jukio Kallio, also featuring tracks and lyrics by Doseone & Eirik 'Phlogiston' Suhrke. Performative Development. Nuclear Throne was developed live on Twitch, using community feedback and frequent updates to make the best game possible. Platforms. Nuclear Throne is currently available on PC, Mac, Linux, PlayStation 4 & PlayStation Vita. Let's Play. 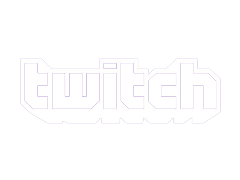 Nuclear Throne was developed live through Twitch.tv, so video content is a big deal to us. If you want to make such content about our game, go for it. I Just Want To Play. Get access to Nuclear Throne. 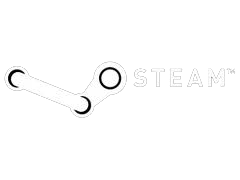 Steam is the platform to get Nuclear Throne on if you just want easy and convenient access to Nuclear Throne. Steam will allow you to access the game on any computer that you log in to. If you buy the game through Steam, the majority of revenue goes to us. I Want To Support Vlambeer. Get access to a DRM-free build of Nuclear Throne and a Steam key. Humble is the most developer-friendly portal in terms of revenue share. In many ways, buying through Humble is a great way of supporting Vlambeer and the Nuclear Throne team, as Humble sends almost all revenue directly to us. I Like Twitch. Get access to Nuclear Throne via Twitch.tv. Nuclear Throne was developed for a large part live on Twitch.tv, and you can give a percentage of your sale to Twitch.tv.